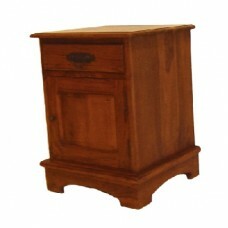 This Teak Bedside Cabinet is made in Indonesia and is 100% solid teak. All the doors, sides and backs are solid teak. The drawer boxes and bottoms are solid teak and the back panels are fielded. Furniture at its best.